Amy Gulick serves up her pollo alla diavola recipe, the name of which is a play on the devilish flames the bird is cooked over. 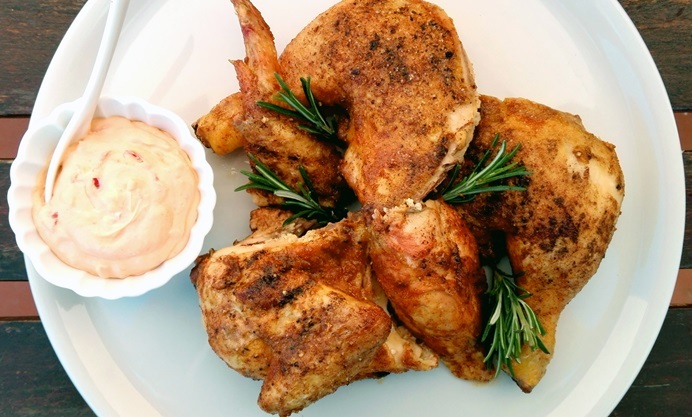 To complete this fiery barbecued whole chicken recipe, the bird is coated in a punchy spice rub of pepper, garlic, cayenne pepper and paprika. 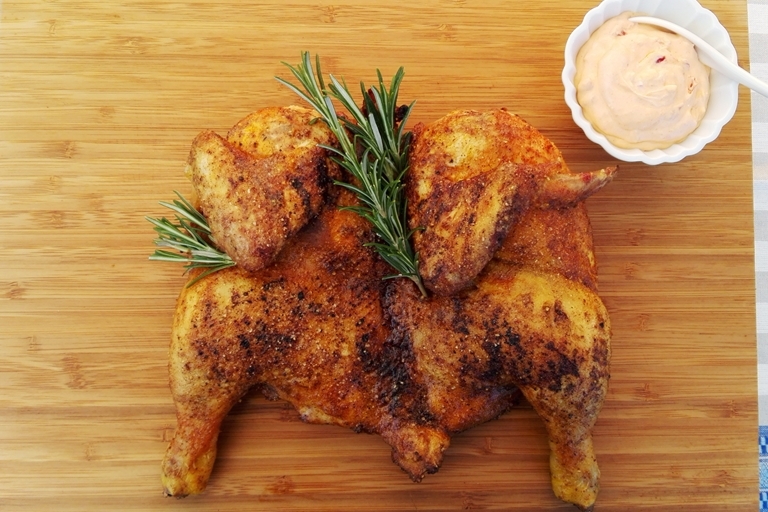 Learn how to spatchcock a chicken in our handy photo guide. In Italian cooking, alla diavola or al diavolo is a whimsical term meant to evoke images of hellfire when grilling meats over hot coals. Yet in ‘the devil’s way’ can also speak to a dish’s piquancy, whether from the addition of fresh or dried red chilli, black pepper, spiced vinegar, and so on. While our devilled sauce and devilled eggs derive their flavour kick from ingredients like mustard, horseradish, or even curry, Italian alla diavola dishes almost invariably incorporate some form of red chilli, such as pizza alla diavola, topped with spicy sausage or salami, and pasta alla diavola, made with a spicy tomato sauce or dusted with red pepper flakes. From a quaint historical anecdote we even know Pellegrino Artusi’s particular take on alla diavola: ‘It is called this because it is supposed to be seasoned with strong cayenne pepper and served with a very spicy sauce, so that whoever eats it feels his mouth on fire and is tempted to send both the chicken and whoever cooked it to the devil.’ Marcella Hazan, on the other hand, wrote of a Roman version of pollo alla diavola that owes its devilishness not to red chilli but to copious amounts of crushed black peppercorns instead. The recipe for ‘devilled chicken’ here uses both cayenne and black pepper, and unites the two imaginative notions of alla diavola, being both grilled over red-hot coals and seasoned with a picante dry rub.